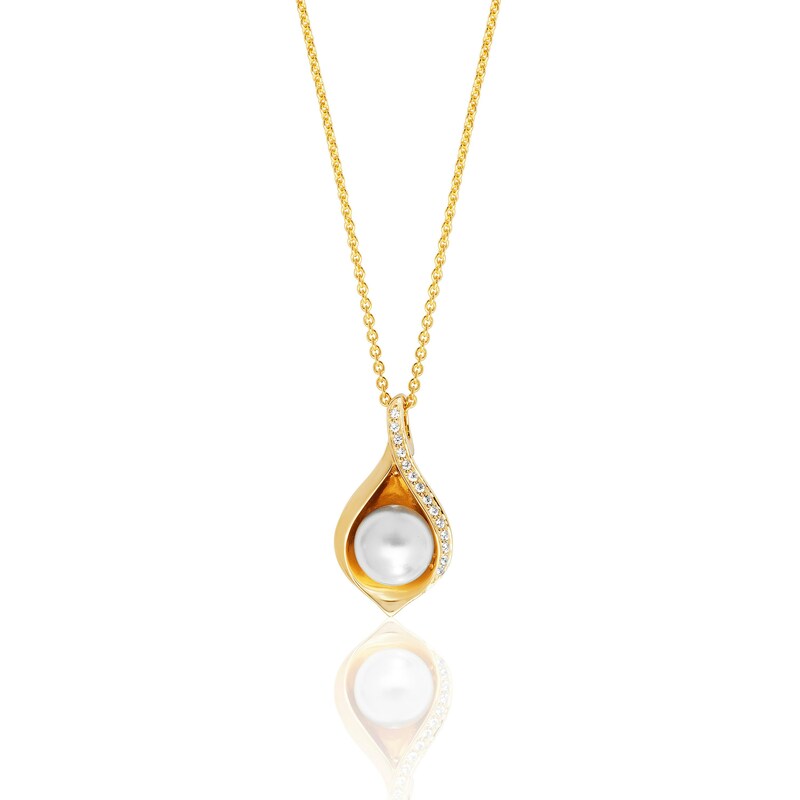 Teardrop shell pendant in rose gold plate, yellow gold plate or rhodium plated silver set with a central faux white pearl. 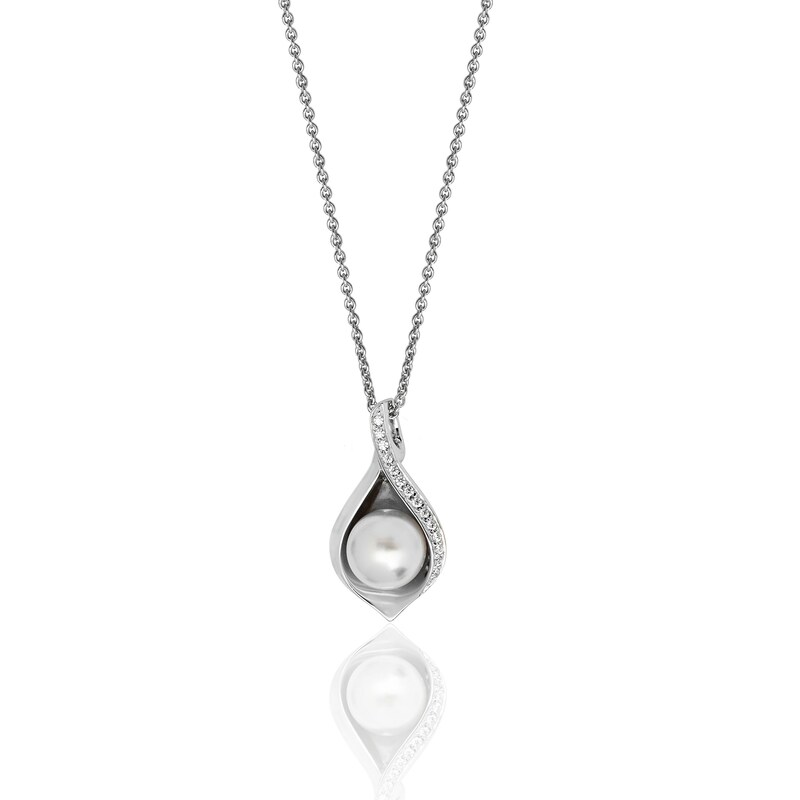 Crafted from 925 sterling silver and set with high quality cubic zirconia stones. 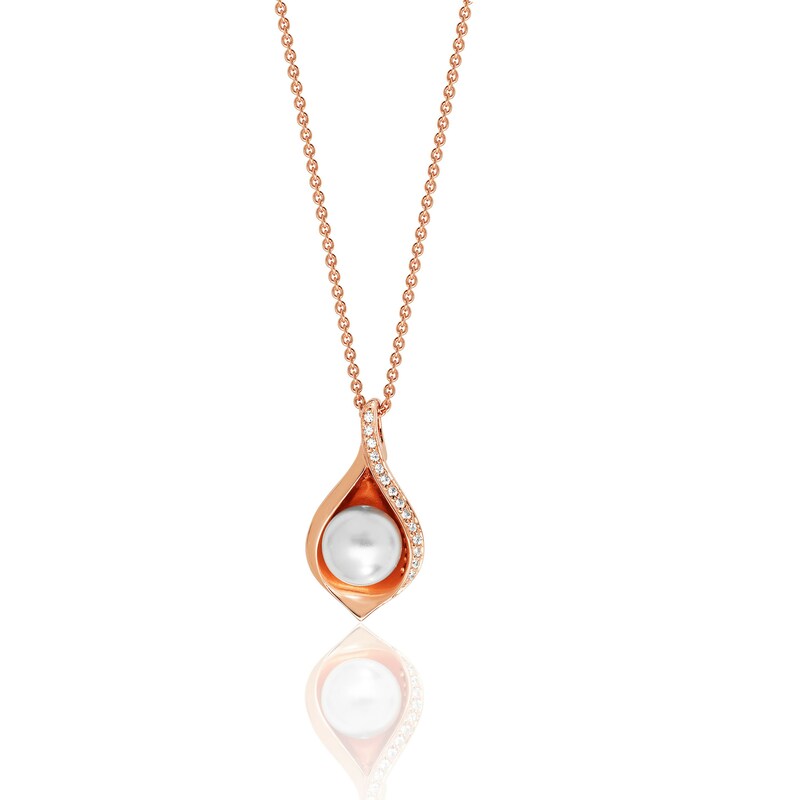 Choose from rose/yellow gold on silver or rhodium plated silver.